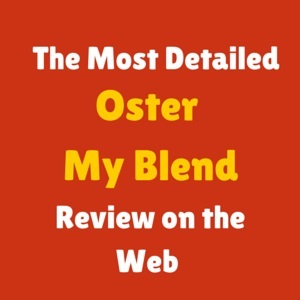 I decided to review this Oster BLSTPB-WBL my blend because it seems very popular, and it seems a convenient blender for many people, specially students and people on the go. The blender comes in two version, a standard version and a pro version. I did this review based on the standard version, but I talk a bit more about the pro version in the Accessories section. 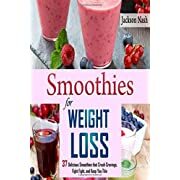 This is a personal blender, that can help you with smoothies and shakes, but not much more than that, so I am not sure it would be convenient for most plant based eaters. This is a personal blender, small enough to get on your counter and light enough to take on a trip if you need to. The nicest feature of this blender is the price. It is very affordable. 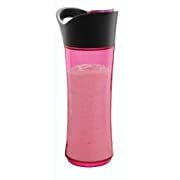 Really it is almost same price as a sport bottle and it comes with a sport bottle that you can use to drink water after you have finished your smoothie. It operates just with one touch. 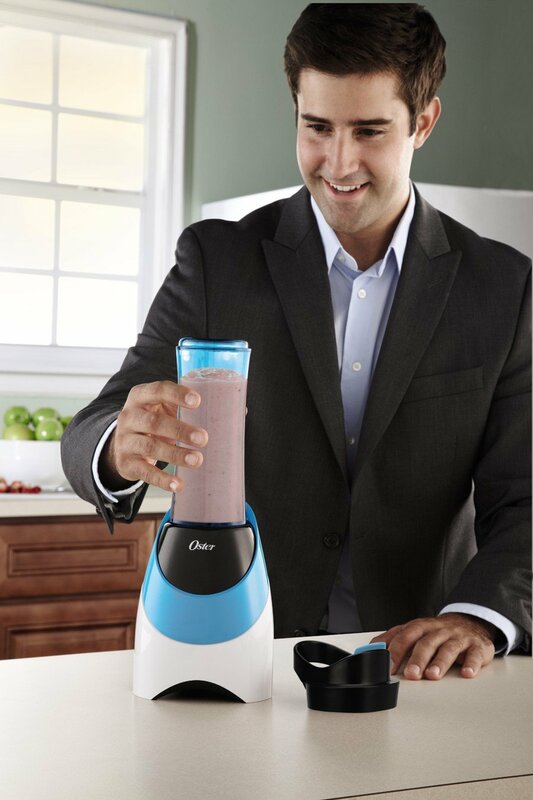 The Oster BLSTPB-WBL my Blend is good for smoothies and shakes. It has a sleek design, and it comes in different colors: orange, pink, green and blue. It works on a one touch blending technology, and it can also run hands free. The way this blender operates is similar to the other personal blenders, but a bit less powerful. 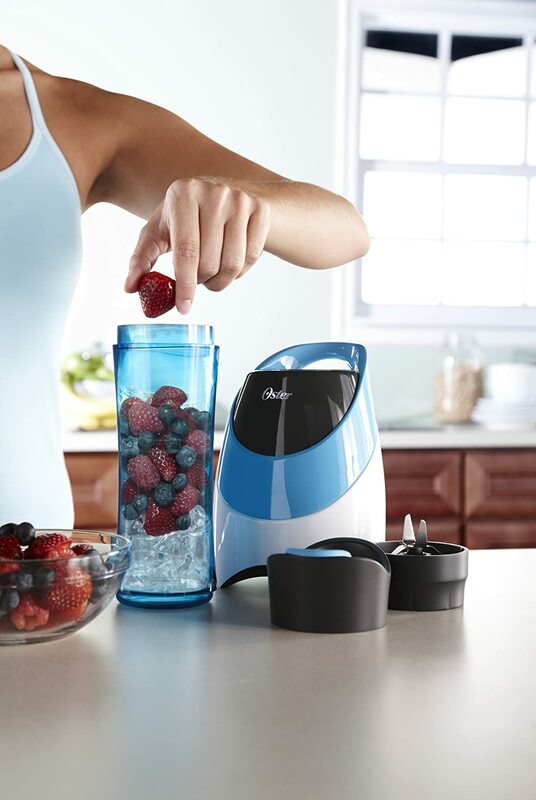 The Oster my blend can handle frozen fruit and vegetables and some ice. but it is really only designed for those functions. This blender is not good for grinding, for baby food or chopping. or processing seeds. When blending frozen fruits and vegetables, it will work best if the fruit and vegetables are chopped in smaller chunks. The Pro model, the Oster My Blend Pro version can handle baby food and nuts. The Oster BLSTPB-WBL comes with a sport bottle as a jar. You can prepare your blend, and then take the bottle and go. The bottle can be used to drink water as well. The Oster sport bottle has a capacity of 20 oz. The lines are marked but the only line that has a number is the 20 oz line. To be fair lines are not very visible. The bottle is good for one serving or two small servings. It is BPA free and it is dishwasher safe. It comes with a lid that clicks closed. Be careful that once you do your smoothies, and you close the lid, some smoothie may come in contact with the lid. When you then drink from the bottle your nose will make contact with part of the lid, so you may get some smoothie or shake on your nose. Always check after drinking that your nose is clean, otherwise you may get some weird looks from people. You could also use a straw in the bottle, though the straw would be a bit short and it will sink. Be careful when carrying the bottle. It is not always leak proof. The sport bottle has a hook that makes it easier for you to carry. This blender is not compatible with mason jars. The Oster BLSTPB-WBL comes with a 250 Watts motor. It is powerful enough for smoothies and shakes, but not for other things. It is not so noisy, but that is what you would expect from a 250 watts motor. If the motor overheats, it has a resetting mechanism. It will stop working for 15 minutes till it resets itself. The Oster BLSTPB-WBL My blend blender is very easy to operate. It does not have any buttons. All you need to do is to align the arrow on the blades with the arrow on the base. Once aligned you can push it and will blend. Or if you lock it pass the arrow on the base it will run hands free. There is no other controls. Very easy to operate like all personal blenders. The Oster my blend comes with stainless steel blades that will screw to the sports bottle. The blades have 4 prongs, two facing up and two facing down. The blade cup also comes with a sealing ring that can be replaced if needed. If the bender is having a hard time to blend, take the bottle out of the base and shake it a bit. There is nothing to store the blades in when you are not suing them. So be careful to put it away from children. The Oster my blend is easy to clean. The sports bottle is dishwasher safe, and the base can be wiped clean. If you want to clean the sport bottle by hand you may need a bottle brush to reach the bottom of the bottle, as it is quite slim for your hand to get in there. Try to clean the bottle immediately after finishing your drink. When storing it , it is best if you store bottle without the lid or the blades on. This will allow air to circulate through the bottle and prevent possible smells. There are no other attachments that come with this blender. You can purchase additional bottles, blades, sealing ring or lid from the manufacturer website. The bottle and lid together measure 9 3/4 inches. (23.72 cm) The bottle on the base measures stands 14.25 inches (36.19 cm). Since this unit is quite small, storage is not a problem. Keep the bottle open when storing it. The product carries a one year limited warranty and a 3 year satisfaction warranty. I need to confirm what they actually mean by satisfaction warranty. I am awaiting for the manufacturer response and will update this page accordingly. . This products is manufactured by Sunbeam Products, Inc. There are no accessories to this products, except for the extra cups, extra blades that you can purchase on the manufacturer site. But there is an Oster My Blend Pro version of this which has lots of improvements. Motor with 500 peak watts and 350 base watts. Double walled Tritan bottle. You will not experience condensation of bottle, so your bag or cup holder will not get wet. 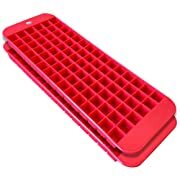 It keeps your drinks 30% cooler. 4 reusable silicone straws, which they are long enough to reach the bottom of the bottle. Motor strong enough to crush nuts and ice. Convenient lid clip and snap carabineer closure. You can hook the bottle to your bag. This is an improved version: It is nice that the bottle has the double wall, so it keeps your drink cooler. The motor is stronger, it can handle some nuts and baby food. The lid is different than the standard version. It has a more reliable seal, so there is no apparent leaking. I would still be cautious of throwing this into my gym bag. You can clip bottle to your backpack, stroller or you can place it in any standard cup holder. The straws are flexible. You can fold them when you are not drinking, and close the lid. There is no condensation, so there is no need to use coasters or getting your hands wet. The base comes with suction cups which gives the unit some stability. 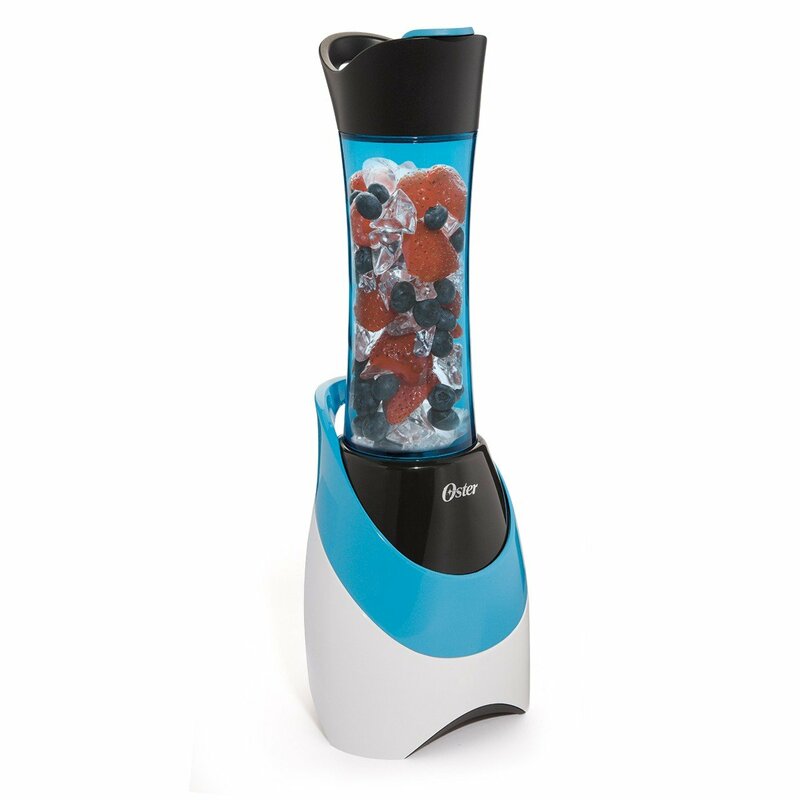 The Oster My Blend Pro version comes in black/gray , white/red, white/blue and black/teal colors. Simple to use – just one pulse mode. Small enough to fit in any kitchen. Good blending performance for smoothies, shakes and coffees. Sport bottle that can be used for water as well. Light and small to take on a trip. Markings on bottle are not clear and only one is numbered. There is some condensation with the standard sport bottle, so you need a coaster. The standard version is only good for smoothies and shakes (not really great for baby food, nuts, dips, or sauces). The blades are left to the open once you take the bottle. Need to store it in a safe way to prevent accidents. This product has a rating of 4.2, which is quite good. 76% of the ratings were 4 and 5 stars. That tells you that people are happy with it. But of course I can’t say who bought the product and what they are using it for,/ My guess is that most people that bough this product use it for simple fruit smoothies with some greens, or for protein shakes. Before deciding on a product, always remember to be clear on what you want to get out of it. The price of this unit is very low. It is quite attractive to purchase it because of the price. If it does not work, you have not invested much. The Pro version is a bit more expensive, but still low enough. Like I always advise, before purchasing a blender, you need to be clear about how you will use it and about how much you are prepared to invest. My opinion is that for the price this is an average blender for smoothies and shakes. I would not recommend this for a person that follows a whole food plant based diet, unless you get this as a second blender. As a second blender it would be convenient for a quick blend. But still, if you are following a plant base diet, I would consider other options, that are still under $100 and are more versatile. Though it might not suit a whole food plant based eater, there are many customers that are happy with this blender. If you were planning to use a blender for more than preparing smoothies, I would suggest that you look at the Hamilton Beach Personal Blender, The Nutrinullet, Nutri Ninja Pro or Nutri Ninja Auto IQ. All these blenders are small enough, and they vary in price ranges, so you can find something that suits your needs. ← Blendtec Jars: Which one to Choose?